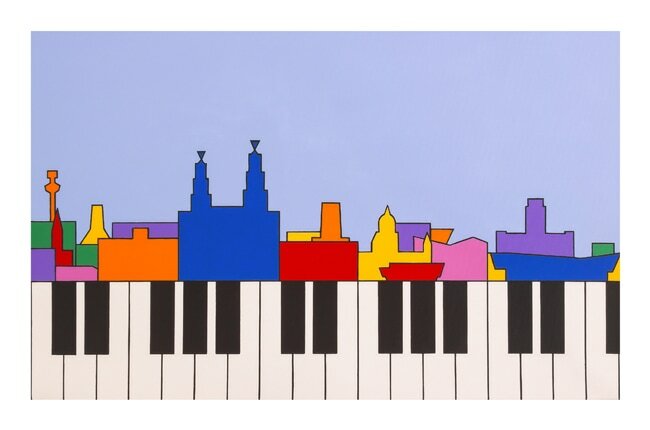 I am also inspired by skylines and other structures in the landscape, from complex cityscapes to rock formations or man-made structures such as a bridge dominating a horizon; however I choose to omit much of their detail and represent these as simplified forms. 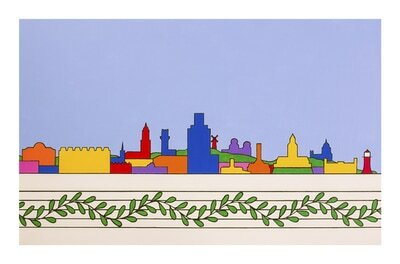 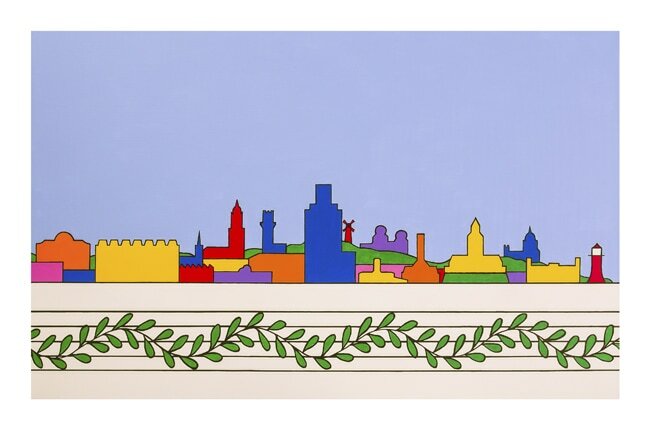 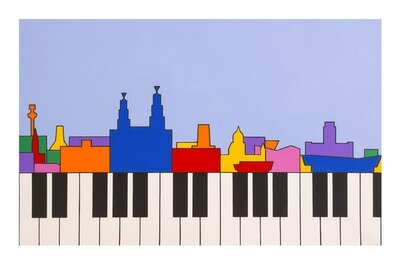 ​and the new 'Mersey Composition', based on the view along the Mersey from New Brighton. 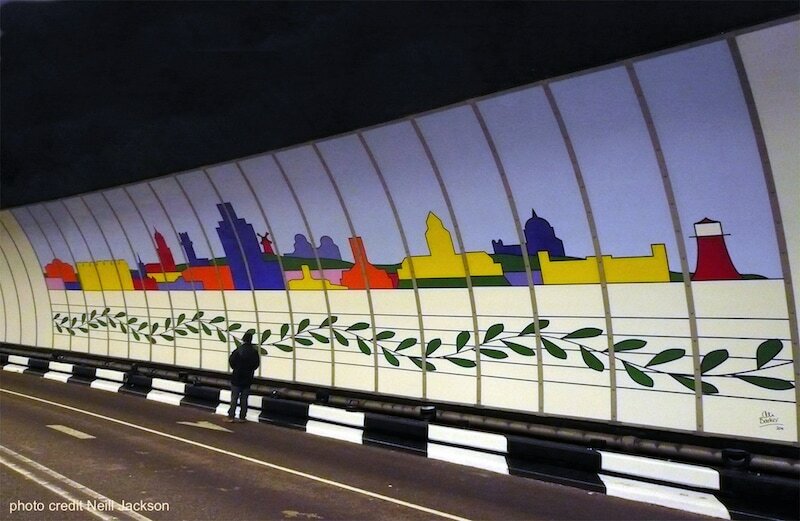 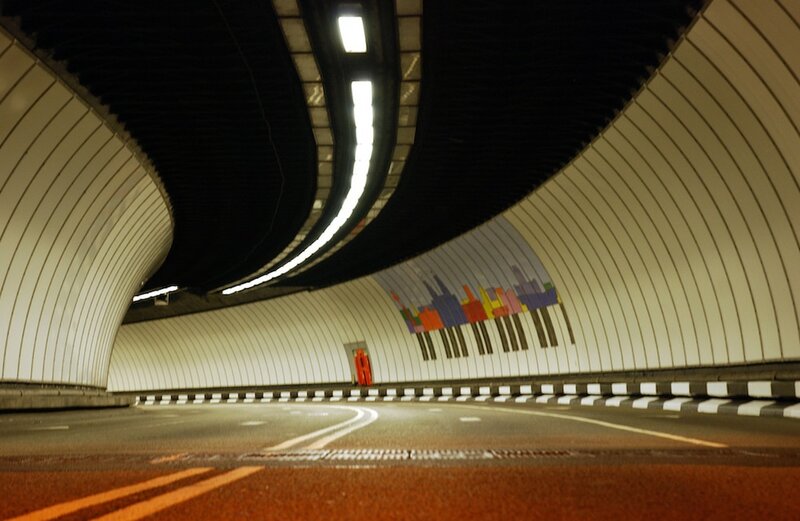 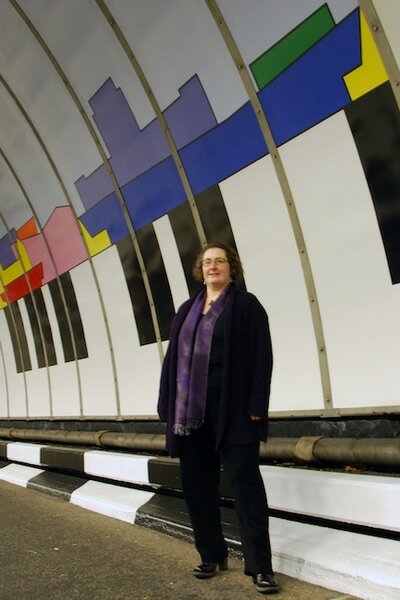 The artist Ali Barker standing by the 'Liverpool Composition' mural in the Birkenhead Tunnel.